A half-day exploration of a fascinating outlet glacier in ​Vatnajökull National Park. Go beyond the normal Glacier Walk. 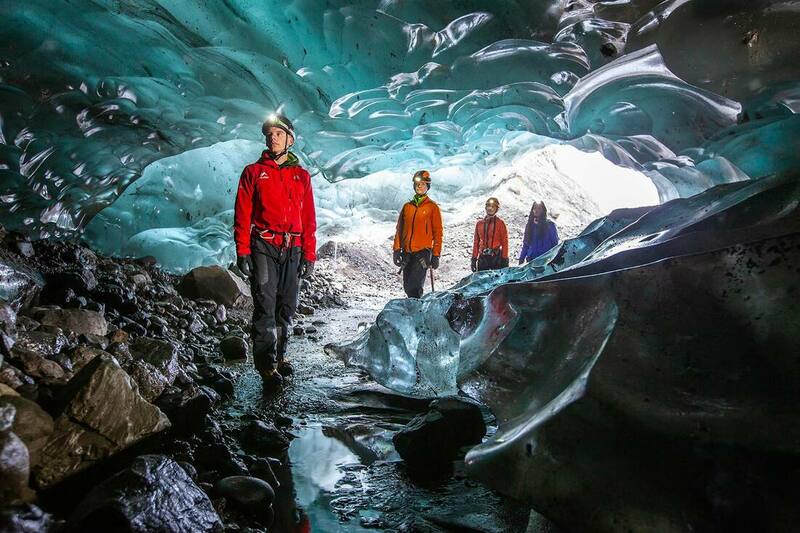 ​Enjoy 4 hours exploring an icy wonderland that extends from the mighty Vatnajökull, the largest glacier in Europe. 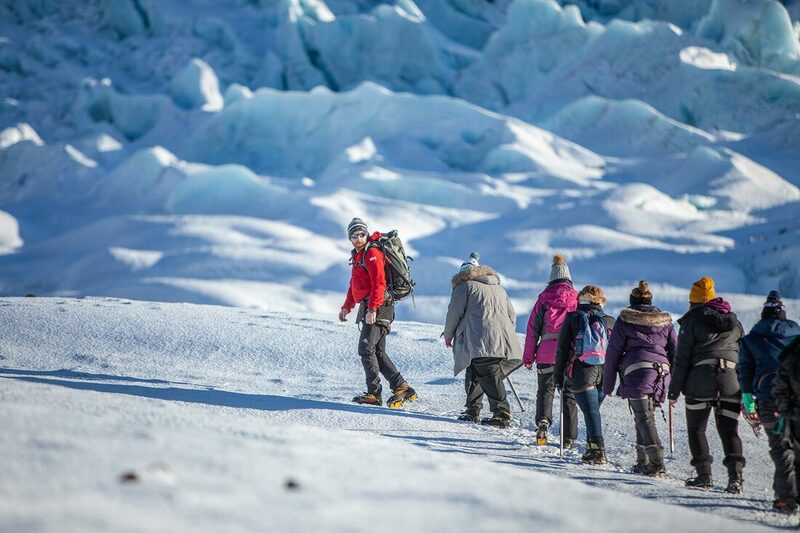 On this Glacier Walk, you will go farther onto the ice field than the typical glacier tour. The labyrinth of ever changing formations on this frozen giant are best navigated with an expert guide who knows the lay of the land. 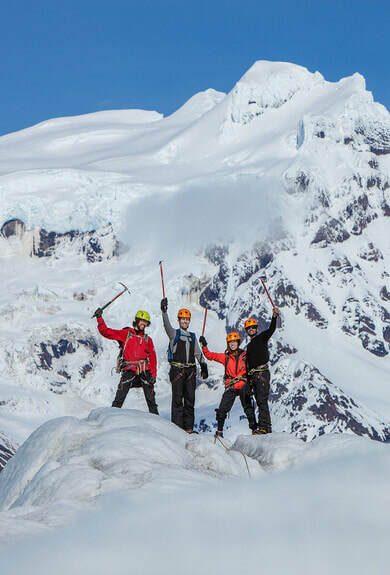 Your epic adventure kicks off with meeting your certified and experienced glacier guide in Skaftafell. After getting fitted with the required glacier gear we provide, like an ice axe and crampons, your guide will lead you onto the glacier. As you traverse zones of different glacial formations, you will notice the diverse colors of ice surrounding you. Strong hues of blue, white, ash covered and even crystal clear ice become more prominent as you travel farther. The panoramic view of the glacier, the surrounding peaks, and the unique experience of glacier ice under your feet, are sure to leave lasting memories. Due to safety reasons, we are currently not operating glacier tours on Svínafellsjökull glacier. Other beautiful glacier outlets will be explored in the meantime. This tour is for a group sis of up to 8 per guide. DEPARTURES: Departures are at 09:00am and 13:00.